What Makes Katamari Damacy Such a Lovable Series? I love Katamari Damacy as a series. It has done a lot of things right and still is a memorable game. Let's roll down the nostalgia lane! Katamari Damacy is one of those game series that receive a lot of followings. Unfortunately, it is also one of many franchises that do not last long. Some things that make the games great happen to limit its longevity. When the series shone, it did so with many colors, disco balls, and psychedelic lighting effects. 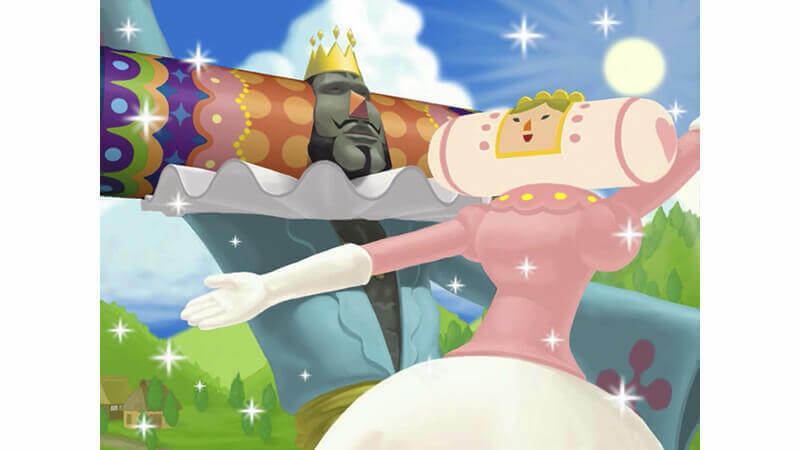 If you have not played any of the Katamari games, read on to find out why I, and many other people, love them. 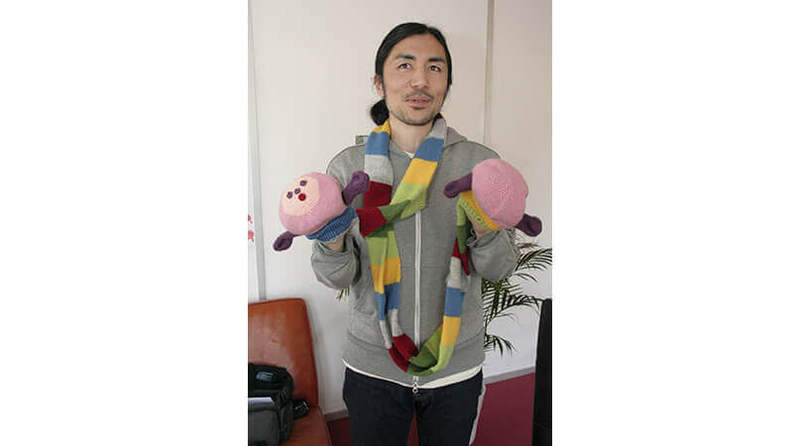 Keita Takahashi created the first Katamari Damacy as an antithesis to many other games in Namco’s lineup around the turn of the century. Takahashi, who has an artistic background in sculpture, is known for the whimsical nature of his works. After joining Namco, he and a group of students started developing for what later became Katamari Damacy. The name Katamari Damacy (塊魂 Katamari Damashii) means “clump soul” and is supposedly a name that Takahashi had stuck with since development. The game was in development for one and a half years and released in 2004. It had a tiny budget of less than 1 Million USD at the time, much smaller than Namco’s other big franchises. Since then, Namco worked on and published several sequels including, Me & My Katamari (for PSP in 2005/06), Katamari Forever (for PS3 in 2009), I Love Katamari (for iOS devices in 2008), and Tap My Katamari (iOS and Android, 2016). However, Takahashi did not want to create any sequel to the original. After agreeing to work on We Love Katamari, the second game in the series, Takahashi withdrew his involvement with the Katamari series. Did you know that Katamari’s game mechanic of rolling a ball, gathering items that stick onto the ball, tracking temperature and weight, as well as the unevenness of the ball is patented in the US? The United States Patent and Trademark Office awarded the patent in 2009, many years after the game came out. I did not know game companies could file some of their game mechanics and features before this. So what makes the Katamari series lovable? 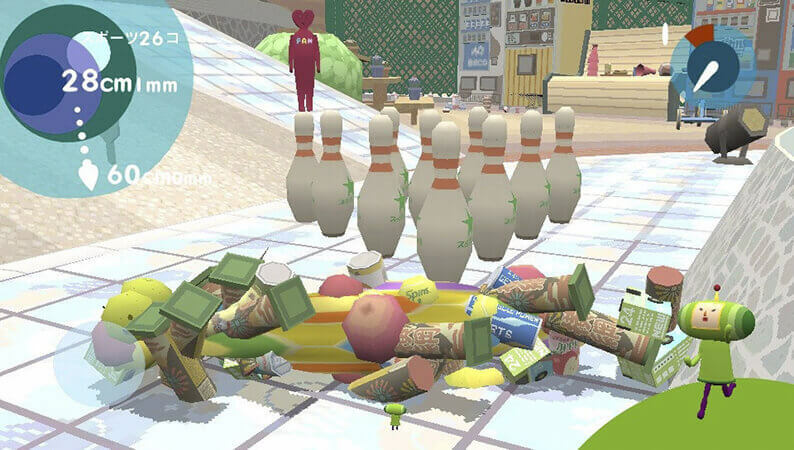 There are many reasons why players love the Katamari games. I, for one, started the series in the PlayStation Portable game, Me & My Katamari. Eventually, I played the older games on PS2 and some other sequels thereafter. The PSP game hooked me instantly despite the less-than-stellar physical controls on the handheld itself. The games are great at many small feats that, as a whole, present to us a catchy, joyful, grandiose, and ridiculous experience. Let’s see what the developers got right. From the King of All Cosmos, the Prince, to the many cousins we encounter, the Katamari Damacy games are full of endearing personalities. In the first game, we play as the tiny Prince who has to gather things to fix the galaxy devoid of stars. Where did the stars go, you ask? The King of All Cosmos destroyed all of them the night before. He then graciously asks the Prince to gather materials using the Katamari so he could populate the night sky. The King of All Cosmos’ design is very flashy, especially the ever-changing colorful patterns on his head. In contrast, the Queen looks plainer with mostly white and pink coloration. The cousins you meet along the way are some of the most unique and cute designs in the gaming world. Often, you have to find and roll the cousins onto your Katamari to unlock and play as them. They can usually be found roaming around whichever lobby area of the games. You can talk to any one of the cousins to switch your playable character. I like a lot of them because they are adorable but my favorites are Miso, Dipp, Mu, and Ichigo. As far as a game goes, the Katamari Damacy series has a really great and easy-to-understand mechanic. You will be mostly using the analog sticks to control how and which direction the Katamari rolls. The challenges come from navigating terrains and finding out which objects you can/can not roll according to your current Katamari size. Once you play enough, you will start to find the most optimal routes for each stage. Your judgment of which object to roll to maximize your gain will also get significantly better. Sometimes, you have to be wary of special items that you can roll only between a certain size range. Once your Katamari gets too big, the items could disappear or you will be transported to a different stage. Alas, the simplicity and tightness of the mechanic are its overall weakness as far as creating sequels are concerned. There are only so many things you can do, which makes innovating new ways of interacting with the Katamari really hard. Katamari Forever added a jumping feature for traversing to higher platforms. The PS Vita’s Touch My Katamari added squash and stretch to take advantage of Vita’s rear touchpad. Squeezing and stretching the Katamari allows you to go through small vertical and horizontal gaps. Most of the gameplay feels the same after the first few games. The series has become stagnant and sequels are made seemingly just to milk the old cow. Aside from giving us a task of galactic proportion, the King also acts as the mouthpiece for the game. He warps you to the starting location, resets your position if you go out of bounds, sings to the Katamari Damacy theme, imparts some Kingly knowledge, and more shenanigans. Once in a while, he will tell us snippets of his past or what he thinks of some special objects that we roll onto our Katamari. 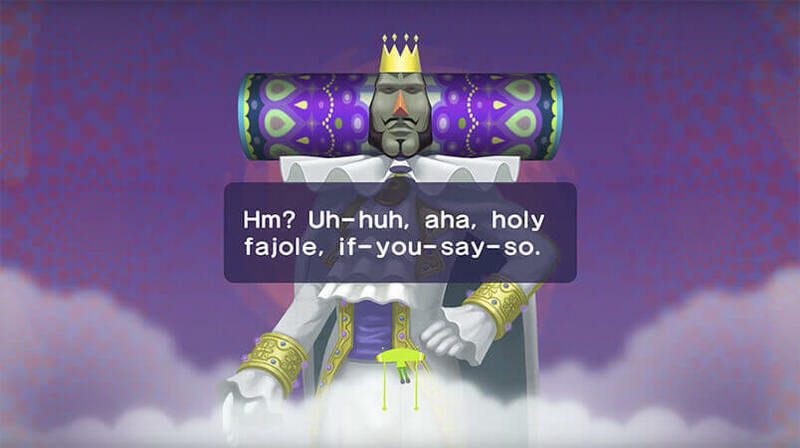 Here are some samples of his funny commentaries taken from the Katamari Wikia page. Now that the dialogue is out of the way, let us move onto the music. Rainbow Beam! Yuu Miyake acted as the sound director for the first several games before passing the torch to Taku Inoue later on. Miyake enlisted the help of many composers, with genres ranging from jazz to electronica, gospel, funk, opera, pop, samba, and even classical. Later soundtracks often remixed some of the favorites while adding new compositions to the list. Most of the songs are upbeat and catchy, and some were created for dramatic purposes when there are animated scenes being played out. Let me highlight a few of them. The main theme above caught my attention when I played the game. Remember that I played Me & My Katamari first before others. It pairs well with the opening sequence to set up the quirkiness and playful nature of the game. Trust me, the other intro scenes are worth a look too. Another favorite of mine is called, “A Crimson Rose and a Gin Tonic”, and the version above appeared in the PS3’s Katamari Forever. I like the 8-bit chiptune-y remix of the original song. If you like this song, please search for the original one because it is groovy. Asuka Sakai is credited as the composer for the song and she is married to Takahashi, the creator of the game. The last one on this list has a slower tempo but the beats and electronic instrument are catchy! Where is the series at now? As I mentioned above, the latest installment of the series is Tap My Katamari for mobile devices. Though it pains me to say this, I believe it is time for the franchise to stop. The first several games were fun but, as a whole, Katamari has lost its charm. If Namco is insistent on introducing the games to new players, why not do a re-master? Or work with Sony and Microsoft to bring those games as a Classic collection? The games are still fun and you do not need to spend money developing new ones! I am a Chocobo mug who loves puns and is driven by the thirst for nostalgia. You will usually find me writing about days past like an old person. Other than that, I usually gawk at different visual arts or exercising my fingers on games. Or napping in the kitchen cabinet.